Today we’d like to introduce you to The Art of Fearlessly Giving Back, Michelle Micalizzi, Tyler Butler, Heidi Jannenga, James & Elena Thornton, and Kay McDonald. In 2017, Michelle officially launched the Art of Fearlessly Giving Back, which is just one of her Fearlessly Deliver series that highlight professionals and their stories. The Art of Fearlessly Giving Back is the socially responsible sister of the Art of Fearlessly Doing Business. 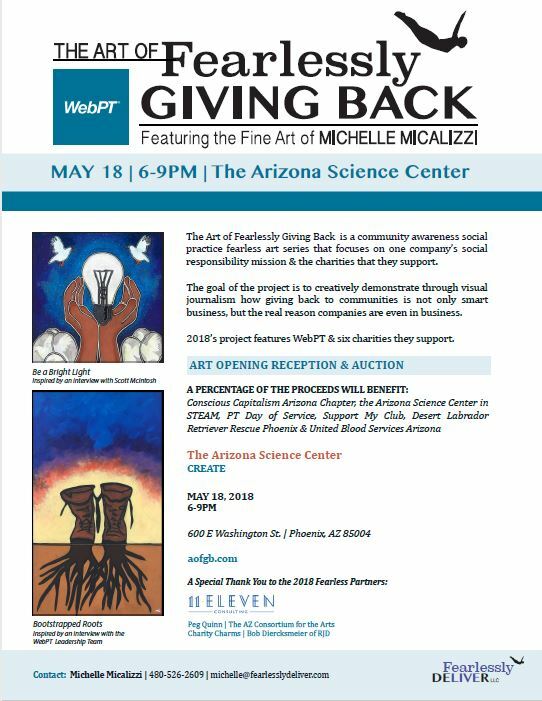 Michelle is partnering with Tyler Butler and 11Eleven Consulting on this project, which will be hosted at the Arizona Science Center on May 18, 2018. Select work will remain on display at the Create space through June 1st. The goal of this project is to demonstrate through social practice art why cause marketing, that inherently has a strong socially responsible mission is not only benevolent for the community at large, it is smart business. Ten percent of the Art of Fearlessly Doing Business and Giving Back projects are donated to a charity each year. The recipient charity for the 2018 Fearless Art of Fearlessly Doing Business is Phoenix Art Museum. Previous recipients include The Contemporary Forum (2017), and the Arizona Consortium for the Arts (2015-16). Applications to be considered as a future charity recipient are being accepted now. 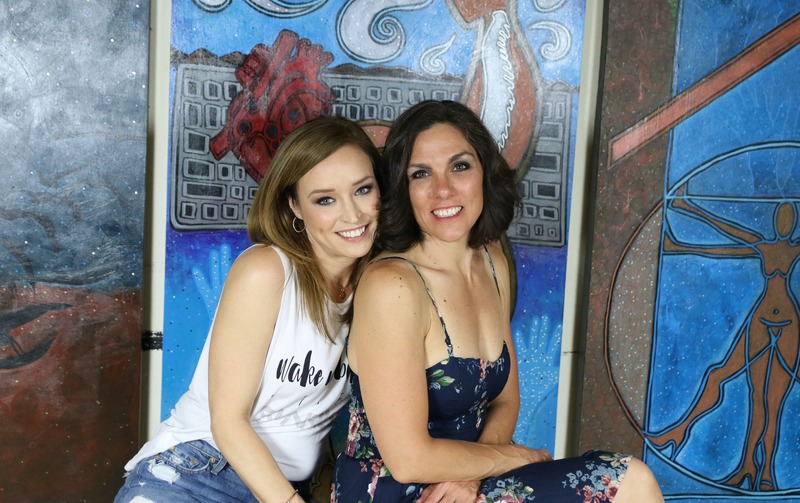 The philanthropic innovation in this campaign shines through via the auction of the art work created by Fearlessly Deliver artist, Michelle. 10% of the value of every painting will be donated to the respective charity that inspired the work. Additionally, 100% of the donation above the value of the panel minus any applicable auction and processing fees will be directly donated to the charities in this campaign. WebPT will be purchasing several pieces themselves to adorn their newly renovated facility. Through these purchases they will showcase their commitment to community, share their dedication to philanthropy with everyone who enters their building and raise valuable funds for their charities of choice. Pieces that are purchased by WebPT will also be available for Auction. However, the buyer of these pieces agrees to accept a duplicate original work recreated especially for the purchaser of the piece for the good of the charity. Following the event online retail stores will go live offering the public a chance to purchase different variations of the art work. Items like prints and mugs will be offered via Red Bubble and Zazzle, giving everyone ample opportunity to own a piece of the inaugural AoFGB campaign. These items will also continue to raise funds in perpetuity for the causes that they were inspired by and will serve to further brand the philanthropic efforts of WebPT and the great work being done by their charity partners. Michelle is a Social Practice Artist who merges collaboration and visual journalism to creatively connect art, business, and community by combining systems, words, video, and images to convey a concept, thought, social concern, or biographical story. 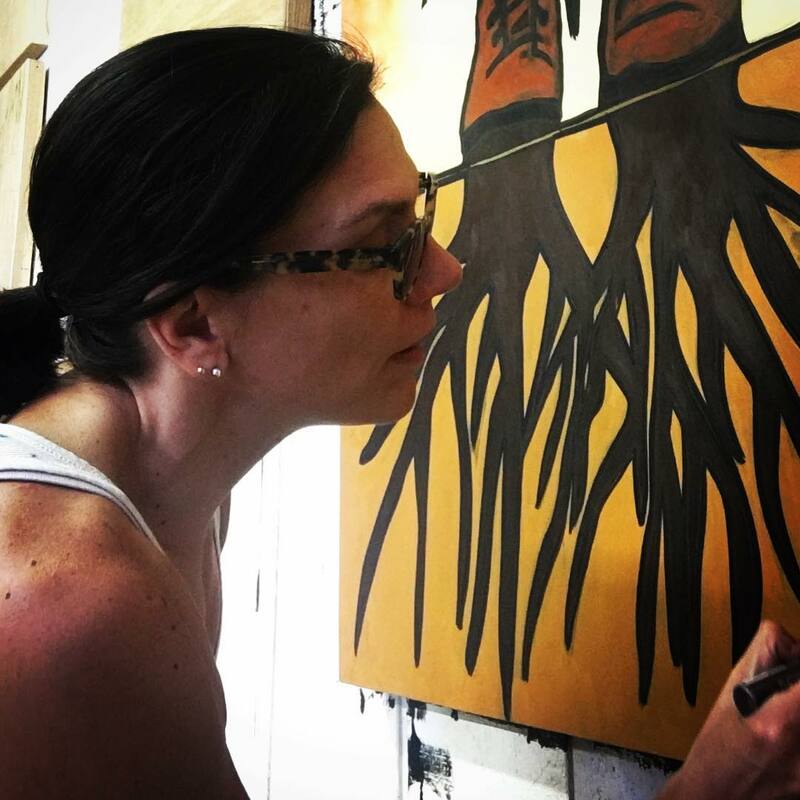 Her multimedia paintings are shorthand for a snapshot in time of her subject’s work and life while conveying a universal message for all and a byproduct of deep meaningful collaboration. Ultimately, she is inspired to contemplate, communicate, and resolve ideas and concepts that inspire her personally and professionally as an artist, a business woman, and a philanthropist. She is driven to share what she finds in her interaction with those that inspire her and others. Michelle cannot ignore the story of inspired lives unfolding around her in each moment. The Fearless Art Projects are collaborative social practice art engagements that connect art + business + community. 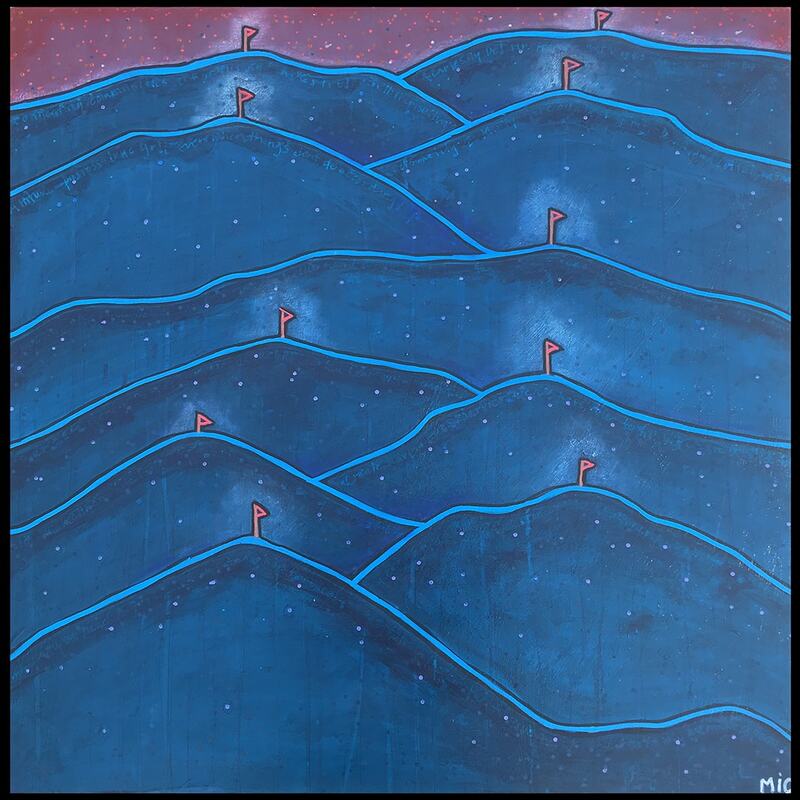 Michelle’s purposeful painting for each Fearless project highlights a specific theme where an original multimedia work of art is created for each story. 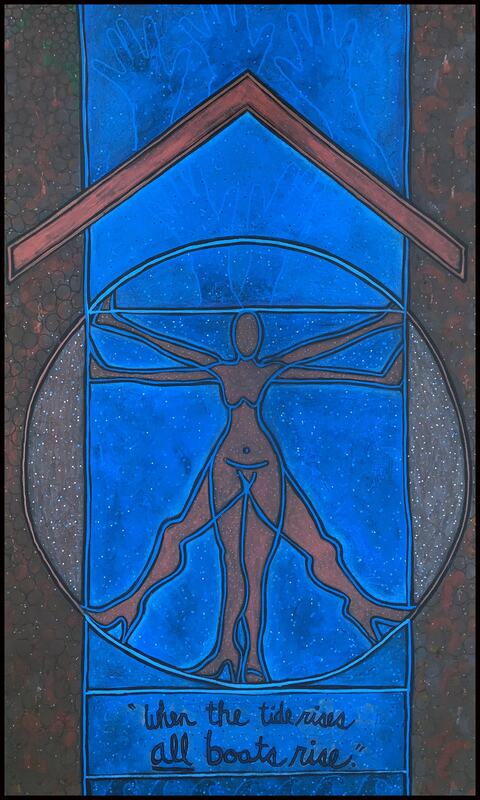 However, the painting is only a small part of the art that is created with each project. The audience engagement, human interaction as well as the business and non-profit collaboration that takes place during the projects are far more significant than the physical art work that is produced. 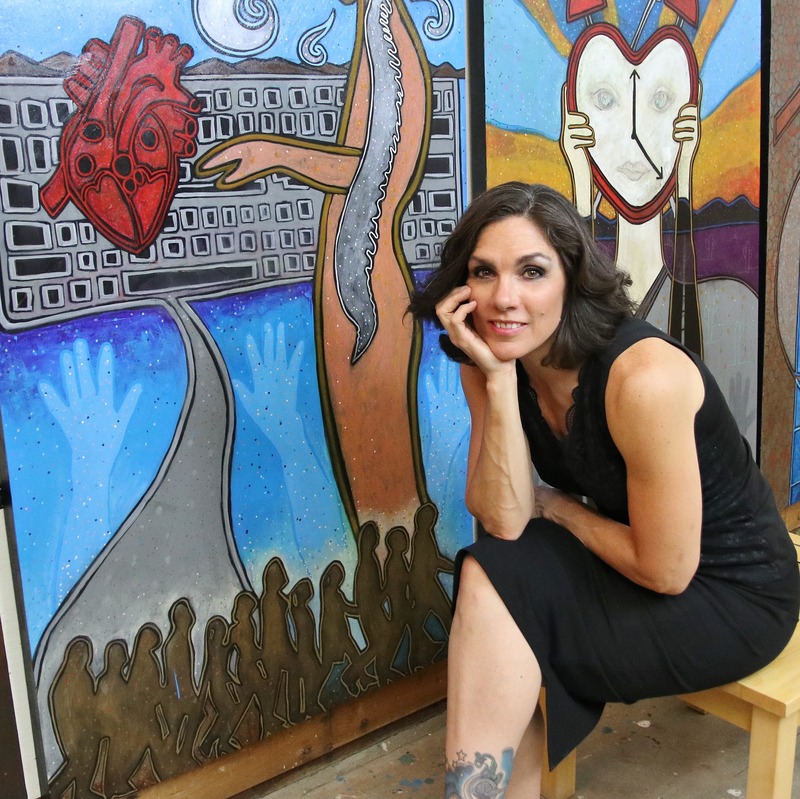 Her work has evolved considerably since 2015 when she began to create work for her Art of Fearlessly Doing Business Series that focuses on fearless entrepreneurism. In 2018, she added The Art of Fearlessly Giving Back and Art of Fearlessly Living series to her mix. During the creation process, she realized that she was as much interested in the social impact of the work as she was with the physical manifestation of the paintings. The process of creating and collaborating made her fully embrace the awareness that she was collectively using her visual journalism skills, her business mind, and charitable instinct as a Social Practice Artist. The paintings created illustrate a story that is shared on the Fearless Blog and via social media as visual journalism. Essentially, the story is one of hope and resilience. She believes that entrepreneurs are a perfect example of these qualities, which is why in recent years the art projects have featured entrepreneurs. Ultimately, any story that focuses on these qualities, and that allows for inspiration provides an excellent opportunity to give back. A portion of the proceeds from the sale of paintings produced is contributed to either the charity that they were inspired by or a charity that is selected for the series. As a painter, the artists that initially inspired Michelle the most are Robert Rauschenberg for his Combines that spoke to the moment; Frida Kahlo for her fearless raw emotional biographical content; Jean-Michel Basquiat for his dark thick lines and willingness to think/feel/scream out loud on canvas; and Louise Nevelson for her sheer audacity. Some other influences include Jasper Johns for his social context and use of stencils and color; Joseph Cornell for his use of the box format and collage; and Max Ernst in particular for his Two Children are Threatened by a Nightingale. A piece that she would visit, like an old friend, as often as she could at MoMA. She also appreciates Andy Warhol for his unabashed capitalistic approach to art and life. She has also been strongly influenced by the Vermont-based Bread and Puppet Theater, specifically their Cheap Art Manifesto; and Vermont folk artist Warren Kimble. Michelle’s multimedia approach uses a combination of acrylic, oil stick and pastels, collage and assemblage, found objects, water color, gauche, graphite, colored pencil, traditional and paint markers, or photography to create her images. Each painting is a mini-emotional, illustrated documentary laced with facts that are arrived at from active listening and deep interest in her subjects. Each piece is a one of a kind visual essay because there are no duplicate life stories. Our moments and lessons as people are as original as a snowflake. Even though every piece is inspired by a specific story, the concepts characterized in them are universal. During her lifetime, she has had the unique opportunity to get to know many very successful and creative business people that she feels have cultivated her love of entrepreneurs. She is inspired by many leaders and companies such as global leaders Oprah, Tony Robbins, Richard Branson, and Pharrel Williams. Closer to home; leaders such as Heidi Jennenga, Bob Parsons, Mayor Jim Lane, Governor Doug Ducey and Jane Spicer inspire at a local level. She admires conscious businesses such as Disney, Ben & Jerry’s, Green Mountain Coffee Roasters, Whole Foods, Starbucks and local Arizona companies; InMedia Company, Daphne’s Headcovers, and of course WebPT. As a philanthropist, she is particularly energized by local community leaders Linda Herold, Deborah Bateman, and Rick McCartney as well as charitable organizations such as the Arizona Consortium for the Arts, Gabriel’s Angels, The Phoenix Film Foundation, and OCJ Kids to name only a few. Michelle was born in Brooklyn, NY and raised in Rutland Town, VT amid a family business. After graduating with a B.A. in Fine Art from The State University of New York at Albany in 1989, she spent ten years in and around Manhattan studying art in all the major museums while running two businesses of her own, one of which allowed her to work in the fashion industry as a graphic designer. She lived in a small community artist colony in Stone Ridge, NY while she took graduate fine art courses at The State University of New York at New Paltz. This experience led her to focus on commercial art by supplementing her fine art degree with certification in Computer Design from the renowned Pratt Manhattan Institute. When she returned to Vermont in 1999, she realized, much to her surprise, that she had actually been in business her whole life in one way or another, and that “business” was not a limiting word. She came to understand and embrace that business is another artistic medium to cultivate and was not in opposition to her creativity. As the granddaughter, daughter and goddaughter of business owners, Michelle has entrepreneurship in her DNA and has created six businesses of her own. She made her left-brain accountable for her business and leadership skills by earning her Masters of Science in Administration (MSA) from Saint Michael’s College in Colchester, VT in 2006. The MSA is equally weighted in Business and Public Administration, which spoke to her passion for business + community. Michelle has maintained art studios in New York City; Stoneridge, NY; Colchester, VT; Essex Junction, VT; Scottsdale, AZ; and currently in Cave Creek, AZ. Tyler is a dynamic leader and creative thinker known as an expert corporate social responsibility practitioner, fashion zealot and community activist. Her childhood was spent moving frequently as she was brought up in a nomadic family, moving each time her parents’ government construction firm landed a new contract. 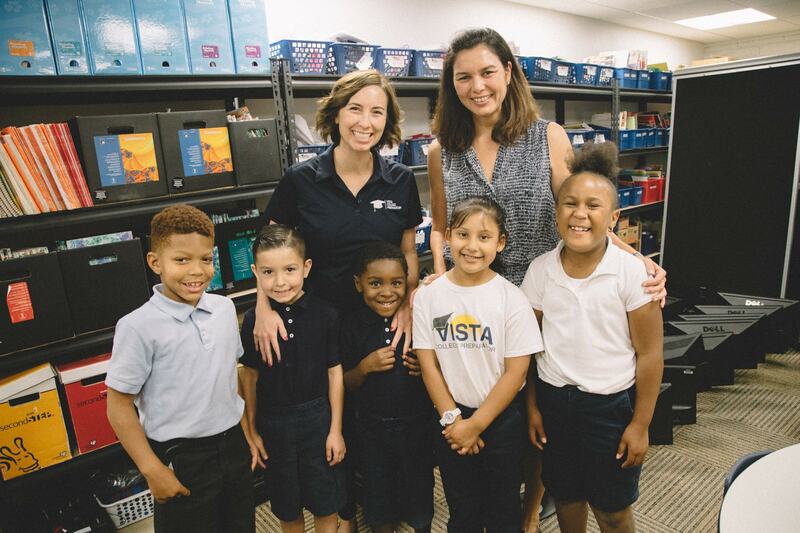 Finally settling in Arizona, Tyler attended Arizona State University where she received her bachelor’s degree in Interdisciplinary Studies and a master’s certificate from the ASU Lodestar Center for Philanthropy and Nonprofit Innovation. Additionally, Tyler participated in a hybrid learning program earning her master’s degree from the Boston College, Wallace E. Carroll Graduate School with a focus on Corporate Citizenship Management. 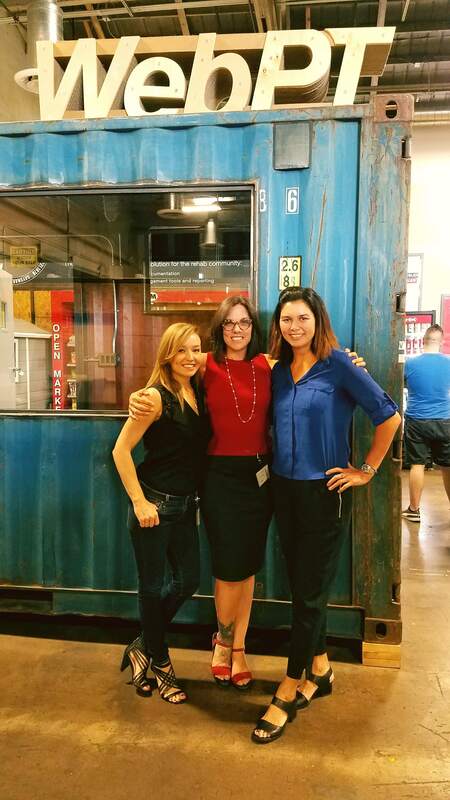 Tyler’s first entrepreneurial endeavor took place immediately after her graduation from ASU. She was a founder of the weekly publication College Times. Tyler was integral in developing the brand, marketing and advertising that drove this magazine to success. Shortly after liquidating her piece of this business, Tyler decided she wanted to transition her career towards a focus on helping others. 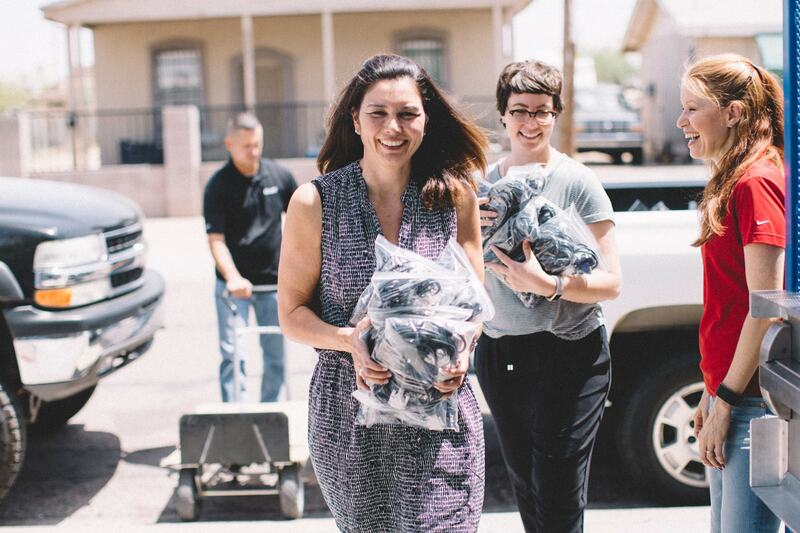 She quickly moved into leadership roles with organizations such as Easter Seals and The Arizona Humane Society. Her efforts directing events and media were essential to bringing iconic occasions such as Sunset on the Beach, Compassion with Fashion and The Annual Pet Telethon to another level. It was during this time that Tyler noticed the emerging focus on strategic, considerate corporate giving, and she realized that this type of role would undoubtedly combine all her experience and talents, making for the perfect next frontier for her career. Tyler returned to ASU to study at the Lodestar Center and at the same time landed a job serving as a leader for Microsoft’s community outreach efforts. The launch of the world’s first ever Microsoft store, coincidentally located in Scottsdale Fashion Square, was the catalyst for the work Tyler would lead for this mega tech company. Together with the Microsoft enterprise team and the retail store team; they created a program that combined all team members to collaboratively aid the communities where the stores were located. This endeavor was called One Microsoft. The formula developed was mimicked in countless markets and Tyler was responsible for training many of these community outreach professionals to replicate the efforts she was able to design. 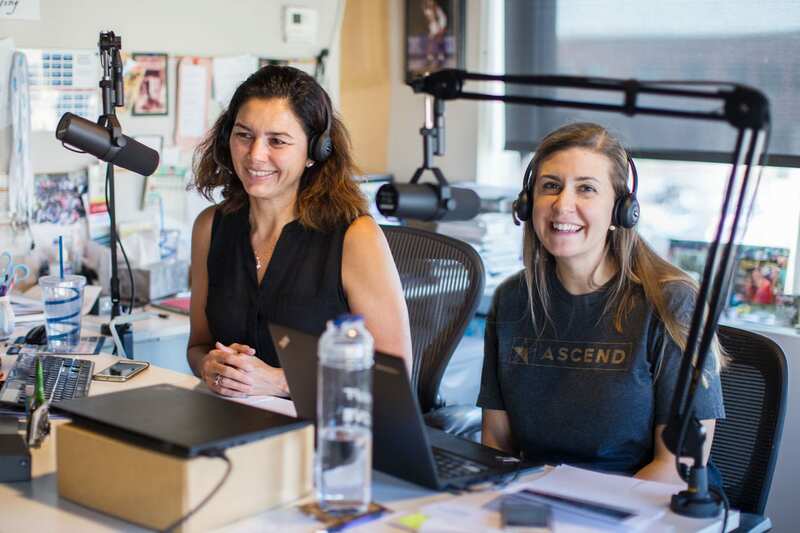 Despite her love for this role and the people she worked with at Microsoft, when GoDaddy Cares leader Renee Parsons recruited her to take on the global efforts for the Arizona-based web hosting giant, Tyler could not refuse. She transitioned over to GoDaddy where she was solely responsible for producing all the charity-based efforts shared by GoDaddy. Tyler’s work was crucial in helping this company to improve its public image and brand sentiment. Additionally, the programs Tyler created and launched enabled GoDaddy to make Fortune’s 100 Best Places to work list among many other esteemed accolades. More recently, Tyler has founded her own consulting firm, 11Eleven, which is a boutique corporate social responsibility consulting firm focused on aiding companies that care. Through 11Eleven, Tyler has led a team to impact positive change and awareness for campaigns engaging the entire transportation industry including companies like UTI, Nissan, Bridgestone, Shell and more. 11Eleven has also been instrumental in elevating Lyft’s community fundraising efforts, Xtreme Canteen’s Round up campaigns and community outreach efforts for 2017 top HR tech startup, HR Company Store. Most recently Tyler has partnered with Fearlessly Deliver on a campaign, The Art of Fearlessly Giving Back, which is sharing the stories behind the giving efforts of WebPT. Tyler is also the society and fashion contributor for Frontdoors media; her column and blog, Giving in Style, is a valley favorite and is gaining national acclaim and recognition. Tyler’s column has boasted interviews with the likes of Aly Hilfiger, Monique Lhuillier, Zang Tao, Patricia Field, Kendra Scott and more. Giving In Style is a carefully curated and crafted to share stories about those in the community making our world a better place. Whether it is a brand, a business or a fashanthropist (a term coined by Tyler that combines the words fashion and philanthropy in order to note someone who is making a positive difference with panache) Tyler is always looking for ways to share stories about the fashion of giving back to humanity. Tyler’s newest venture, Brands Taking Stands, will launch in 2018. Brands Taking Stands is a specialty bracelet line focused on social responsibility and people banding together to make virtuous causes vibrant. In addition to all of this work, Tyler is also an active community advocate. She serves on the board of trustees for the Arizona Science Center, the board of governors for the Greater Scottsdale Boys & Girls Clubs, the Arizona Governor’s Commission for Service & Volunteerism and the advisory council for AZ BIG MEDIA’s Business Angels Magazine and for Scottsdale Leadership. Tyler is a kindness crusader and dedicated change maker who is making a positive difference both professionally and personally. Tyler is known to bring electric energy to every project she touches. She is driven by her passion to impact change and to make the world a better place; she thrives most when rallying people together. Tyler believes magic is something we create, and leadership is not a position or a title, but an action and choice. 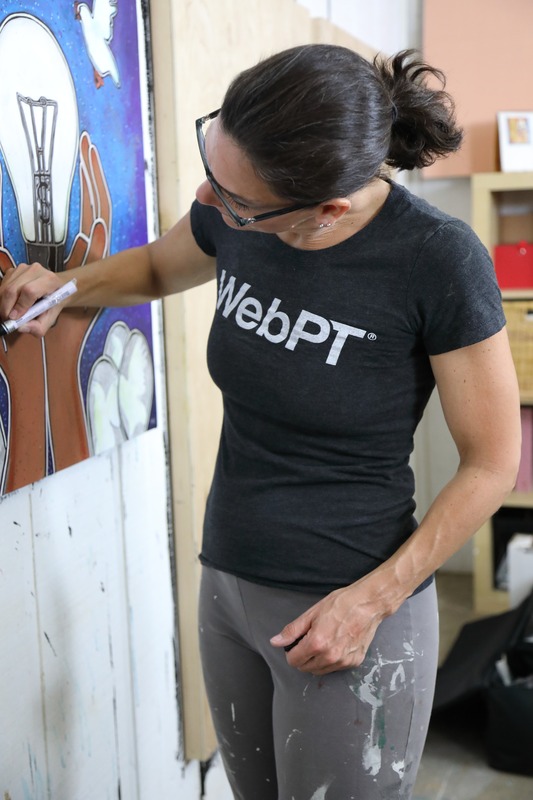 Dr. Jannenga, PT, DPT, ATC/L, is the co-founder and president of WebPT, the country’s leading rehab therapy EMR platform for enhancing patient care and fueling business growth. Since the company’s launch in 2008, Heidi has guided WebPT through exponential growth. 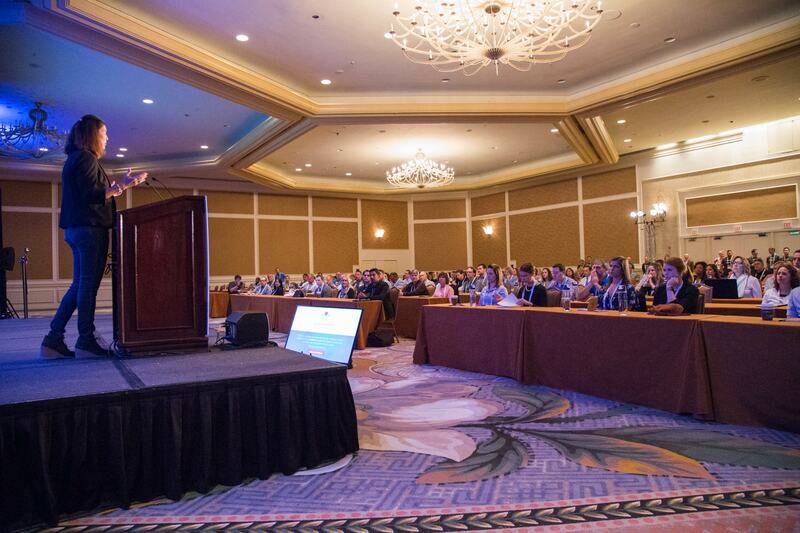 Today, it’s the fastest-growing physical therapy software in the country, employing nearly 500 people and serving more than 75,000 therapy professionals at more than 12,000 clinics. WebPT has also ranked five consecutive times on the prestigious Inc. 5000 list and twice on the Inc. 500. Heidi has been recognized as one of Health Data Management’s Most Powerful Women in Healthcare IT, an Entrepreneur of the Year finalist by Ernst & Young, and a Most Admired Leader and Tech Titan by the Phoenix Business Journal, among other accolades. Arizona Consortium for the Arts, Inc. is a 501(c)(3) not-for-profit, all volunteer, community organization. The consortium provides support for emerging and established Arizona artists spanning all disciplines and offers free access to the arts for the general public by hosting cultural, arts and performance arts events. They aim to advance, unite, collaborate, partner, connect, and engage individuals and community organizations in all aspects of arts, performing arts, literary arts and cultures in Arizona. 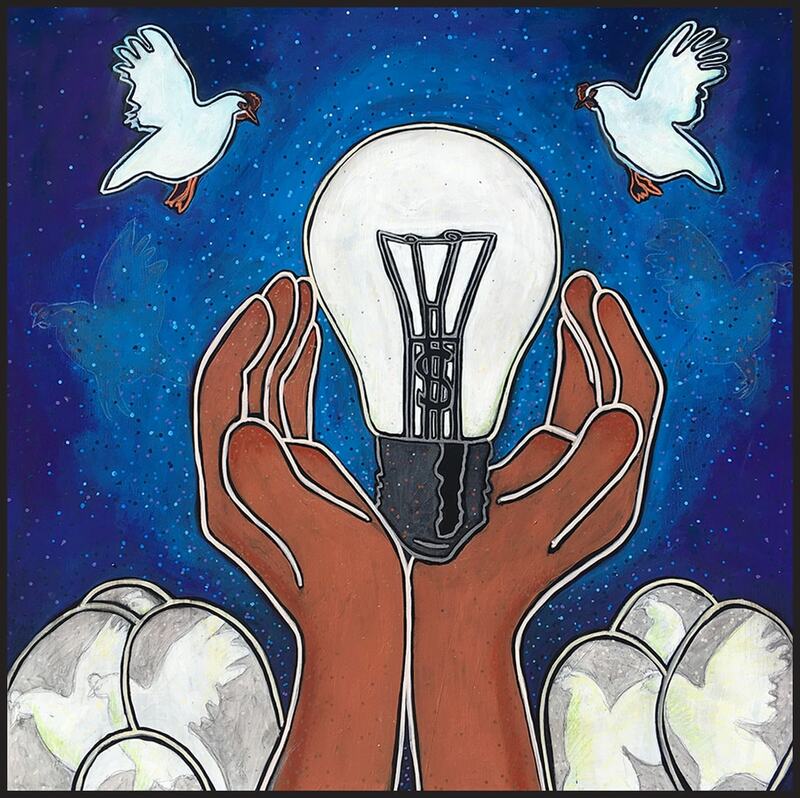 They are dedicated to creating a connection with our community and provide a platform for social bridging through artistic, cultural and educational events. They inspire, engage, involve, give voices and visibility, celebrate, and connect our communities by providing innovative programs, activities and publications. The consortium’s programs help nurture and support underserved and economically challenged populations through the transforming power of the arts. They are reflecting and representing the distinctive character of our region and explore, share and provide opportunities for the compelling expressions of arts and culture. The consortium’s vision is to establish a multicultural, multidisciplinary arts space/center with an open door policy. The center will provide a home for all activities and foster artistic growth for people of all ages through the participation in the arts. It will be a home for many wonderful community organizations and groups, creative and innovative activities and projects representing and celebrating our diverse community. Charity Charms has been featured in Entrepreneur magazine and Kay was named one of the top 12 Businesswomen in Phoenix by the Business Journal. She is currently authoring her first book and also offers Cause Marketing and Product Development consulting. Prior to founding Charity Charms, Kay co-owned Regalia, a fashion accessory business for over 18 years. Regalia hosted charity events donating 10% of the proceeds to charity. Before launching her own businesses, Kay led a successful corporate retail career as a Retail Buyer for May Company, VP of Merchandising for Star of India, and Production Coordinator for a clothing firm in NYC’s garment district. She holds an Associate degree in Fashion Merchandising from the Fashion Institute of Technology (FIT) and a Bachelor of Science degree in Communications and Marketing from Arizona State University. In joining forces to showcase a variety of stories that shed light on the beauty of corporate citizenship, the Art of Fearlessly Giving Back has uncovered some important opportunities from the inaugural campaign. First, we will selectively vet and connect with each and every proposed partner involved with the campaign. Just as importantly will be the one on one interface with all partners before the onset of the initiative to select cohorts that are on board with the social practice concept of this initiative. Education on corporate social responsibility, drip marketing campaigns and the generous amount of work and ample opportunity provided through this offering will also be crucial. Having an aligned and focused approach and passion to share out the stories generated through these partnerships and the opportunity to raise awareness and funds for charities will be a facet that is also a concentration. Our current project summary document will also be carefully curated into a well thought out guidebook and competitive selection process that future campaigns will be built upon. The creators and leaders of this important community opportunity will have to completely commit to and fully understand the social art and philanthropic goals of this project. Through these improved methods there will be a greater opportunity to help companies that care and the charities that they support. Please tell us about The Art of Fearlessly Giving Back. With a 30-percent market share and 99-percent retention rate, WebPT is the leading rehab therapy platform for enhancing patient care and fueling business growth. Launched in 2008, the company is based in downtown Phoenix’s historic Warehouse District. Learn more at webpt.com.